The town of Mashpee and Mashpee Wampanoag tribal leaders remain at odds over whether local and state shellfishing regulations apply to tribal fishermen, a division that was made apparent during a rare meeting between the two governments earlier this month. The March 5 meeting, which brought Mashpee selectmen and tribal council together for the first time in several years, highlighted dissonance over the regulations, which the town has shaped to meet its water quality goals, after Selectman Andrew Gottlieb questioned tribal leaders about their shellfishing policies and practices. Wampanoag Tribal Council Vice Chairwoman Jessie “Little Doe” Baird said the tribe has never had to consider the town’s regulations because its citizens regularly exercise their aboriginal hunting, fishing, trapping and gathering rights, which are protected by the federal government. Federal court rulings have affirmed exclusive tribal rights to hunt, fish and forage both on and off Indian reservations. The most notable case involving a member of the Mashpee Wampanoag Tribe was decided in 1984, when a Barnstable District Court judge decided in favor of the tribe’s rights to hunt and fish to sustain themselves without obtaining a permit from the town or state. 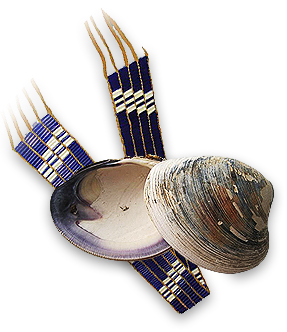 In 1999, the Supreme Judicial Court unanimously upheld Wampanoag shellfishing rights after two tribal fishermen had been found in violation of Bourne shellfishing bylaws. But past tensions over tribal rights and local regulations could bubble up again. According to Richard York, director of Mashpee’s department of natural resources, if a tribe member violated specific state shellfishing laws, the town would have to issue the offending party a violation. York said the violation would likely end up in court. But such cases are hypothetical, York said, as tribal citizens generally follow the town’s regulations, despite the fact they need not follow them. But there are a number of overlapping state and town regulations, and local officials have the task of ensuring state regulations that protect public health and work to preserve natural resources are obeyed, he said. Even though the town exempts the tribe from its shellfishing regulations, doing so puts them at risk of not meeting their water quality goals, Gottlieb said. The town is allotted less than $1 million in shellfish investment, which is being put toward the town’s watershed nitrogen management plan that is projected to save taxpayers some $190 million, he said. “But (the plan) is reliant upon adherence to the Mashpee shellfish regulations, which ensure that the seeded shellfish mature to the legal size,” Gottlieb said. As part of the plan, officials are looking to grow some 10 million quahogs in waters off Popponesset Bay and Waquoit Bay this year — an increase of 2 million shellfish cultivated last year — in an effort to restore water quality up to state standards and restore shellfish beds back to historic levels, York said. The hardshell clams feed off nitrogen, which act as fertilizer for harmful algae that plague waters and degrade water quality across the region. Mashpee’s comprehensive water quality management plan relies on seeding some 20 million quahogs and oysters in a predator-free environment to allow for several years of undisturbed growth, Gottlieb said. Once the shellfish reach maturity, the town issues family and commercial permits to fishermen who harvest the creatures, which also removes the nitrogen, he said. George “Chuckie” Green, the tribe’s director of natural resources, said the tribe and the town have been collaborating on improving the area’s water quality for years. The two are also partnered with the University of Massachusetts Dartmouth in that effort. “We have an extensive water quality program that is supported and shared with Richard York,” he said. “If we look at this and think that tribal fishermen are going to ruin the resource, in my mind that’s ridiculous,” he said. Family and senior shellfishing permits, which the town issues to residents, expire at the end of the month. This past year, the town gave out 1,174 permits, according to town records. Newer PostDo You Have a Student Enrolled k-12?